Alicia Avila Outcalt, LCSW, is a clinician in private practice treating adults with a wide array of problems from psychiatric disorders and trauma to general life stressors. Her specialties include acculturation issues including LGBT. 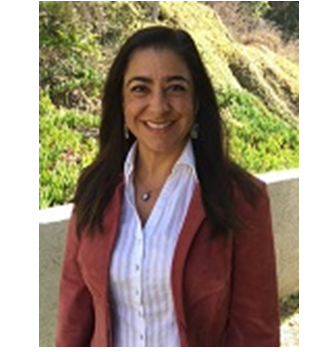 Ms. Avila is a former clinical instructor for the University of California, San Diego, department of psychiatry. She co-authored the article “A Dual Diagnosis Demonstration Project: Treatment Outcomes and Cost Analysis” published in the Journal of Psychoactive Drugs. She is a teacher and trainer presenting at local and international conferences on mental illness, addiction, and cultural competence with over 20 years of experience. 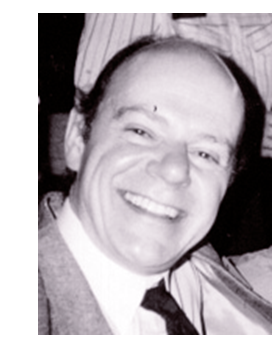 Ms. Avila is bilingual and bicultural, originally from Mexico Ci ty..
Gerald Puk, PhD, specializes in treating dissociative disorders, adult survivors of abuse, and victims of acute trauma and personal injury. He is a forensic consultant and expert witness in personal injury and motor vehicle trauma; he serves as a consultant to the New York State Education Department.. This is the EMDR Therapy Basic Training (Parts 1 & 2) approved by the EMDR International Association (EMDRIA) and does not include the required additional 10 hours of consultation. Participants will learn the EMDR therapy approach, the basic eight-phase EMDR protocol, the Adaptive Information Processing Model, and how to incorporate EMDR therapy into your practice. This course will consist of didactic presentations, live demonstrations, supervised practicum, and case consultations. Participants must attend the full training and participate in 10 hours of consultation to receive a certificate of completion in EMDR Basic Training. The 10 hours of consultation need to be completed with an EMDRIA Approved Consultant who is also approved by the EMDR Institute. Cost & Registration. Click here for information on the EMDR Institute's website (i.e., the workshop sponsor). Eligibility Requirements for Attendees. This training is appropriate for licensed mental health professionals as well as graduate students and interns. (Acceptance of graduate students will be determined by the presenter of this Basic Training (the EMDR Institute) after verification of eligibility has been received.) To obtain specific information about eligibility, click here. Workshop Schedule. April 6-8, 2018 and August 17-19, 2018. Friday & Saturday, 8:00 a.m. to 5:00 p.m. and Sunday 8:30 a.m. to 4:00 p.m. Contact Ardi Schoonover at (402) 393-8277 for information about the exact start and end times for each day. EMDRIA Website. To view the posting on the EMDRIA website, click here for the Part 1 training and click here for the Part 2 training. This meeting is held in facilities which are in compliance with the American with Disabilities Act. Please contact Ardi Schoonover at (402) 393-8277 iif special accommodations are required.